the Black painted finish to beat the Christmas rush at the end of this month. If you can’t find the size of fireguard you need from our standard range, please call us for a made to measure quotation. 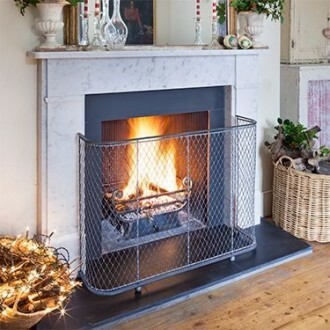 We can make any size within reason, so if you have a large inglenook or small Victorian fireplace, please get in touch. We’re closed from Tuesday 23rd December to Monday 5th January, but wish you all very Merry Christmas and a Happy New Year.